Letting kids help you in the kitchen can be hard, it’s true. But even though allowing littles to “help” you in the kitchen can be difficult physically and mentally, but the end result is worth it! Here’s ideas for what your about what your kids can actually do for meal prep by age. 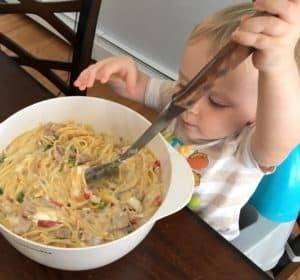 I let each of my kids get involved in meal prep around 18 months old. They only do really simple things, and I have to be right on top of them, but I want them to get the idea that cooking is fun! Budrow stirring up ingredients for a casserole. I have found that when they’re this tiny, they’re too short to reach the counter, even with a stool! Plus, they’re still pretty squirmy. 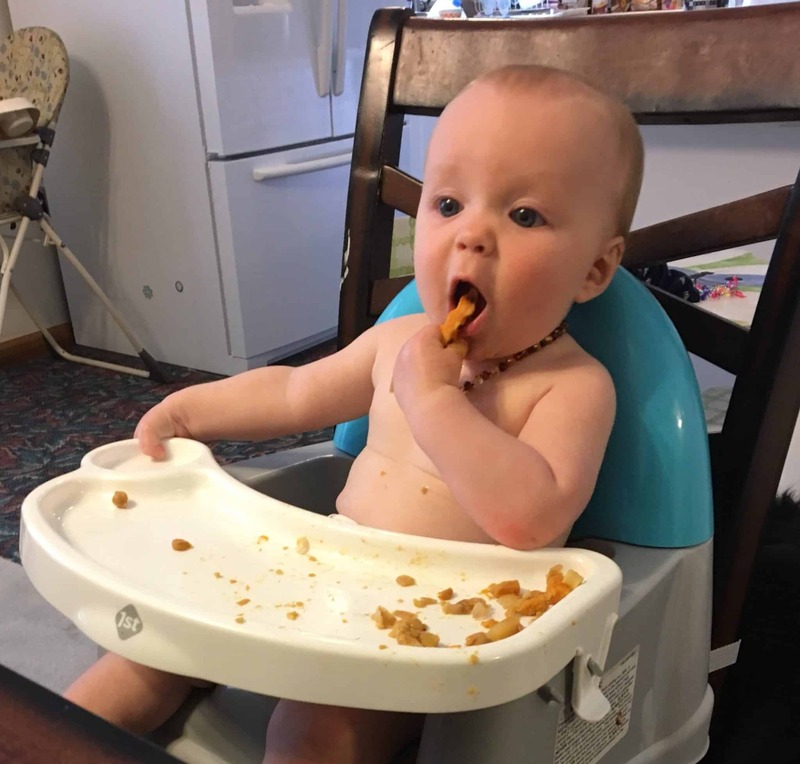 Putting them in their high chair/booster seat solves the problem by letting them reach either the table or their little tray. 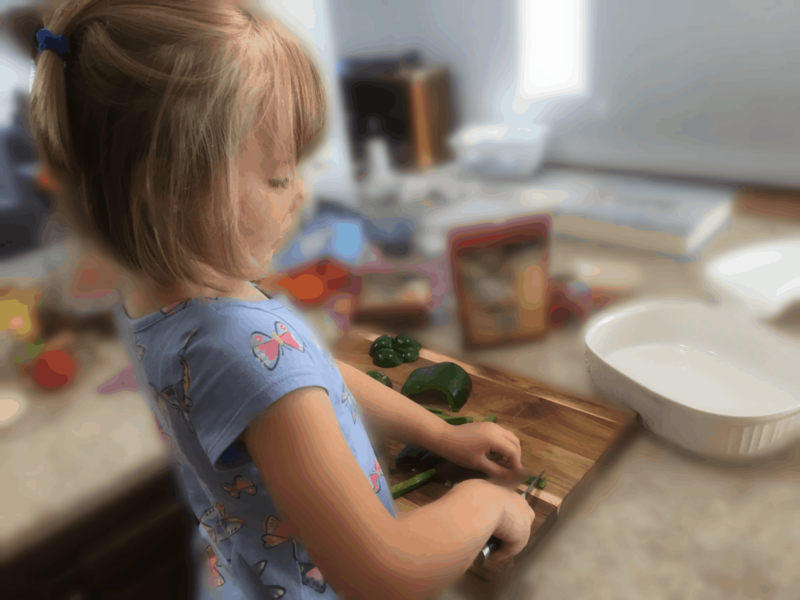 Let your kid help in the kitchen stress-free! There are so many positive outcomes from letting your child help you cook or bake! 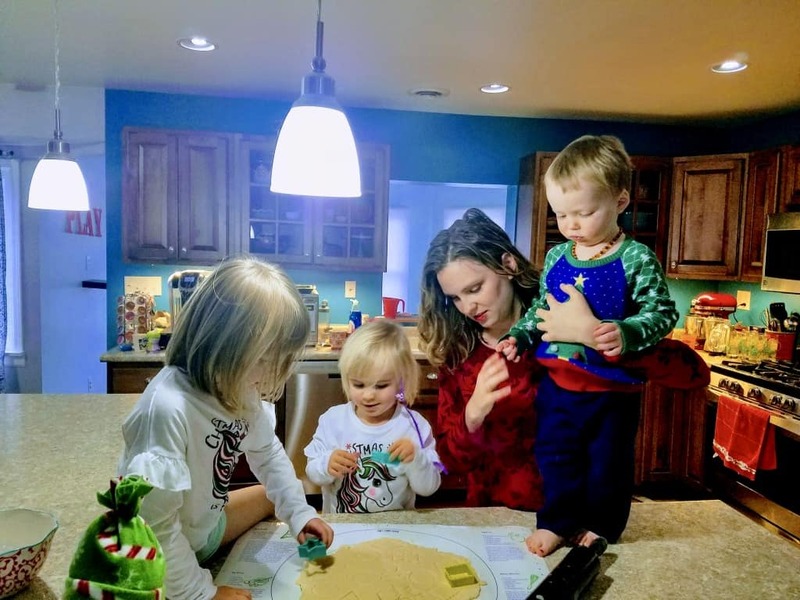 Like we’ve discussed before, it gives them the opportunity to learn through doing, and it just gives them something to do instead of whine about being hungry while you’re trying to cook! Plus, kids are more interested in eating something they made themselves (helping them overcome pickiness!). And, of course, one day they’ll have to cook for themselves, so they have to learn somehow. But let’s be real: If you’re like me, you sometimes really don’t want to deal with having them “help” in the kitchen, especially when they’re little. It’s the control issues we have, right? They’re gonna make a huge mess. This will take way longer than if I just did it myself. They’ll just squabble over turns while they’re at the counter. I’d really just like the chance to do something without them. And I’m not saying this in a judgy way. I’m saying this because these are exactly the things that run through my head when I consider letting my kids get involved in cooking. I’ve never bought a jar of baby food. 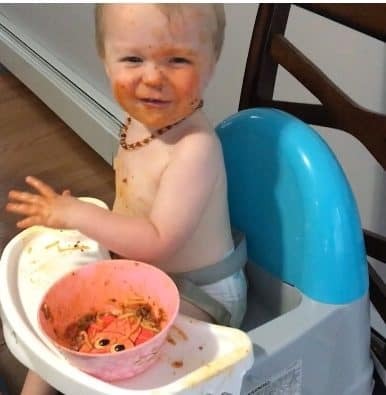 I have never pureed food simply to feed it to my baby either. 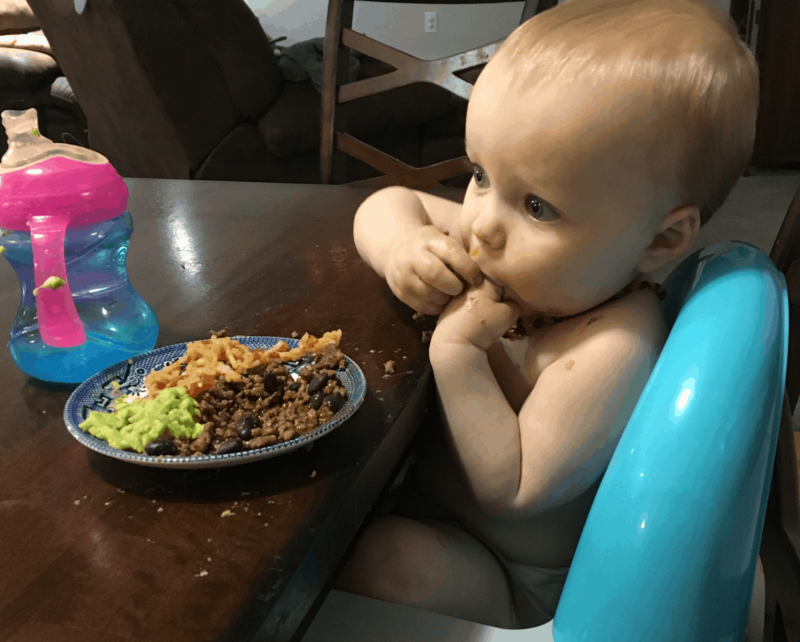 While this is a bit different from the typical way to lead babies to solids, it has worked great for us! Almost every night, I set a plate down in front of General Leia, and for at least one food on there, she whines, “I don’t like this!” which is inevitably parroted by Bella Bean: “I don’t like dis!” Yet they end up eating at least some of it. My kids actually have a pretty varied diet, and I feel confident that their palette will continue to expand as they get older. So how is this happening? In Parts I, II, and III of this series, we established the pros and cons of buying organic food. In Part IV, we talked about how you can get the most bang for your buck, nutritionally speaking, by buying groceries selectively. But we all know that the most healthful food in the world isn’t going to help your kid if he or she won’t eat it. So what do we do when our child is really used to a narrow diet and is unwilling to try new foods?